At Barefoot Wine & Bubbly, we’ve always marched to the beat of our own grapes. How do you become the world’s most loved wine brand? You start with a belief that wine should never be taken too seriously and a conviction that when you follow your heart there’s no limit to how far your vine will grow. Take our very beginnings in 1965, when California winemaker Davis Bynum first created Barefoot Bynum Burgundy in his garage. The unconventional name referred to – what else? 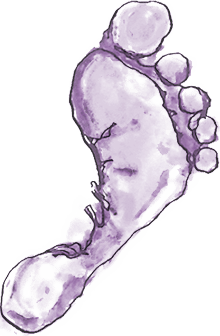 – the free-spirited method of crushing grapes barefoot. Fast forward to 1986. Things really kicked off when visionary entrepreneurs Michael Houlihan and Bonnie Harvey took the helm, renaming us Barefoot Cellars and creating the footprint label we’re known for today. 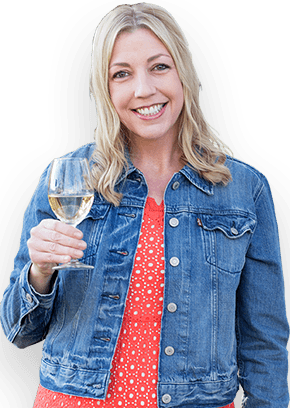 Barefoot Wine’s casual name and quirky persona quickly made an impression on our fans. In everything, you gotta have sole. As much as we love making wine, we love supporting good people and good causes even more. This tradition goes way back and really took off when Randy Arnold joined our team in 1990 as one of the original Barefoot ambassadors (AKA Barefooters). To this day, a passionate group of Barefooters represents us worldwide, helping us give back to communities through charity events, local causes and non-profit partnerships. No one should be judged by the color of their favorite grape. When winemaker Jen Wall joined our team in 1995, Barefoot offered just four wines. Today, our diverse collection totals more than 30 wines, each with its own colorful, foot-stamped label. In 1998 and with the millennium celebration around the corner, we introduced Barefoot Bubbly to our fans. And in 2013, we launched our newest product Barefoot Refresh, a light-bodied spritzer that’s perfect for outdoor occasions like pool parties, days at the beach and backyard barbecues. We think wine tastes better in a tee than in a tux. We achieved another milestone in 2005, when we became part of E. & J. Gallo Winery and took our Barefoot Wine & Bubbly collection to six continents around the world. This global footprint (pun intended) has helped make us one of the world’s most recognized wine brands. Here at Barefoot Wine & Bubbly, we can hardly believe we have an incredible 50 years of fun under our belts. Rest assured: we plan to keep on believing in and supporting the causes we love and making great wine that tastes better in a tee than in a tux.